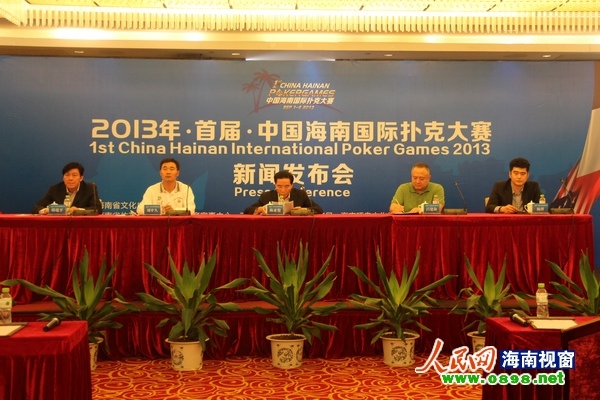 The 2013 China Hainan International Poker Games will be held in Sanya from September 1st to 6th, with prizes totaling over RMB10 million. At least 1,500 poker players from more than 20 countries and regions will compete with each other at the event. According to an official, the event, which will be the biggest international poker competition in Asia, consists of an International Duplicate Texas Hold’em Poker Team Event and a Texas Hold’em Poker Individual Event. In addition, some performance events will be held during the same period. Texas Hold’em is a shared card poker game. Each player is dealt two private cards and there are five face up shared (or "community") cards on the table that can be used by anyone. In the showdown the winner is the player who can make the best five-card poker hand from the seven cards available. Since the 1990’s, Texas Hold’em has become one of the most popular poker games worldwide. Its spread has been helped firstly by a number of well-publicized televised tournaments such as the World Series of Poker and secondly by its popularity as an online game. For many people nowadays, poker has become synonymous with Texas Hold’em.